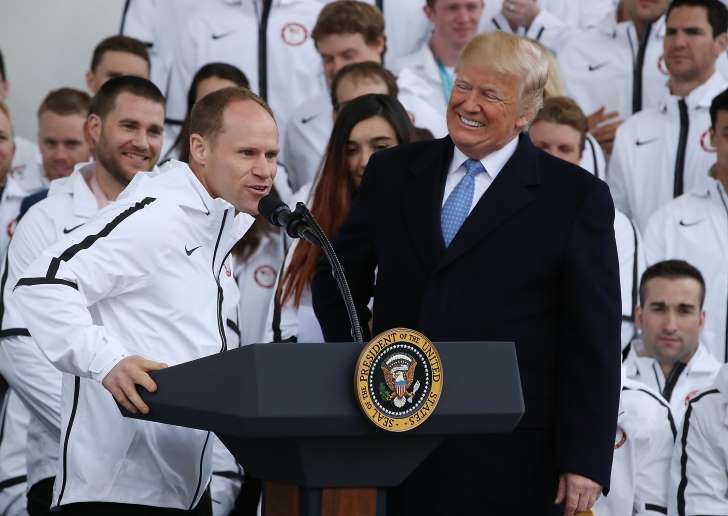 © Mark Wilson—Getty Images Paralympic skiier Dan Cnossen speaks as President Donald Trump looks on during a celebration of the USA 2018 Winter Olympic and Paralympic teams. The remark sparked immediate backlash online, with many recalling an incident during the 2016 presidential campaign when Trump appeared to mock a reporter with a physical disability. Trump denied the accusation.